I’ve always thought setting a book in a famous city gives it a head start. The skyline and the iconic views, familiar to most readers, present us with an instant connection to our audience. Assuming of course we get it right - woe betide the writer who gets a street name wrong or transports the gets the hero/ine across town on the wrong bus! So there’s always a case for making the place as much of a fiction as the characters and adjusting the geography to suit. Of course the really successful writer (especially one who can conjure up a long-running detective series!) will add seriously to that city’s cachet and tourist offering. 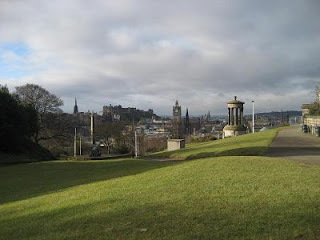 In the Blink of an Eye, which recreates the life of an Edinburgh artist – compelled me to use a city I knew as a visitor rather than a native, with the added difficulty of going back nearly 200 years. As a newcomer to historical fiction, the time was probably more difficult for me than the place. Thanks to the National Library of Scotland, historic maps are easy to find and I’m probably more familiar with Edinburgh in 1850 than its present incarnation. I somehow found it harder to get my head around such diverse topics as transport (no, when he inadvertently walks further than he intended he can’t phone for a taxi, you wally) street lighting, schooling for girls and crime prevention. Not that I delved farther than I needed into any of these, so if you want an insight into Victorian Edinburgh I recommend this blog and its associated e-book rather than asking me! The gate to Rock House - Visitors keep out! But it wasn’t just the cityscape in general I needed to know but one actual house, the residence for much of his life of my hero D.O. Hill. Rock House on Calton Hill was the centre of his photographic enterprise with Robert Adamson and the setting for much of the action in my book. Because of its prominent position there are many photographs of the outside of the house and its history is well documented, for instance on the wonderful EdinPhoto site. But my tramp up Calton Hill revealed changes to local roads that have made it distinctly inaccessible to curious passers-by. And how I longed for a look inside! In fact for several years Rock House was a boutique B&B and if I’d known this at the right time I may well have shelled out for a visit, but by the time I was aware of it the moment had passed. Last I heard it was on the market and its destiny unclear, though I know quite a few people are ready to start a ‘save Rock House for the nation’ campaign! So I thought I was going to have to make do with this video by the National Galleries of Scotland as a glimpse of the interior until I had an exchange of emails with Jane Davis, author and fellow photography enthusiast who really has stayed there and was kind enough to send me her holiday photos which I’m posting here with her permission. So the book is written and I hope I’ve conveyed how it might have felt to live in that house at that time. But what’s this? Googling for this article I’ve discovered that Rock House has reverted to its previous owners and is open for business again! I am now urging you with renewed vigour to go out and buy my book, then one day I might be able to afford a stay there after all. The other side of that gate! 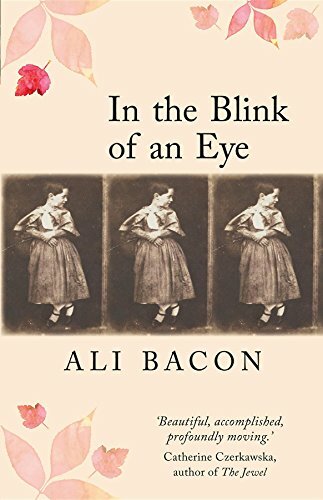 After graduating from St Andrews University, Ali Bacon worked briefly in Oxford’s Bodleian Library where she found a cache of famous Victorian photographs, sparking a life-long interest. 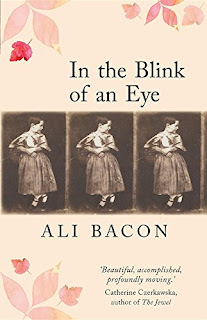 In the Blink of an Eye marries her interest in fiction and photography and can be pre-ordered now from Linen Press or as an e-book from Amazon. I set my 2 historical novels in the Aberdeen of the early 1840s. The choice of date was dictated by the discovery of an Ordnance Survey map of the place in 1840 and, luckily, most of the streets and quays around the harbour where most of the action takes place haven't changed since then, so I could wander round my locations at leisure. I just had to add the smells. Some reviews have (gratifyingly) noted the 'authenticity' of them. Lucky me. sorry I couldn't respond yesterday for technical reasons. Responding to Bill, there is plenty of Old Edinburgh left to see but also a lot that has been swept away and replaced by shopping centres, cinemas and car parks. Julia - most of my fictitious happenings have some basis in history - but not all! A. This sounds like a very interesting book and I will go and add it to my (lengthy) wish-list once I've finished here. 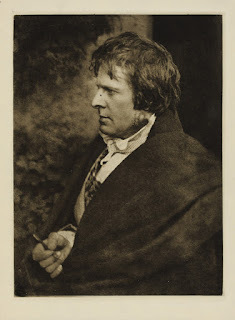 I have a particular interest in it as I live in Edinburgh and also work at the National Galleries where we have a huge collection of Hill and Adamson photographs as well as some of D.O. Hill's paintings. Your post also strikes a chord because I have just started writing a novel set in Barcelona in 1955, and I'm running into quite a few similar issues with streets that may or may not have been there at the time etc. I knew this book would be tricky and have already put off even starting it for some time, but I couldn't let go of my idea for it.